Just being able to write that phrase makes me realise how incredibly fortunate I am that a publisher (ok not one of the big guns, but hey) liked my book enough to commit ink to paper and text to Kindle. I know that all the advice says to believe in yourself and your writing, but so much easier said than done ad rejection after rejection arrives. 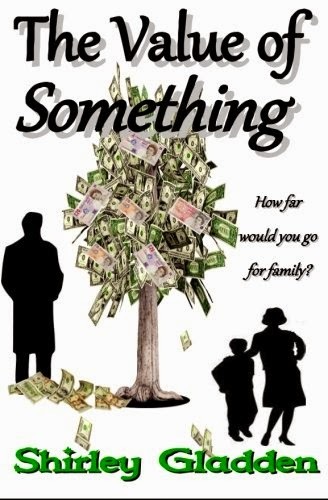 My recently published novel The Value of Something was in serious danger of being consigned to a drawer, or even worse a box in the attic and ‘put down to experience ’ as they say. It would of course still have languished in the far flung files of the computer to pop up and haunt me occasionally with its oh so familiar listings: ‘Final Draft,’ ‘First 30 pages,’ ‘Synopsis’ and of course the carefully composed covering letter. Then just in time, it was saved the indignity of being consigned to obscurity. Believe me the sheer jubilation when that acceptance finally arrives (and you can finally admit you always secretly believed it would) is immense. You will go around with a smile on your face and a spring in your step- and then comes the big decision; do you tell the world or do you keep it as your triumphant secret a while longer? In my case I told only my nearest and dearest and swore them to secrecy. It all seems too good to be true, and having no experience of the editorial process, there was always the possibility in my mind that I still might fall at one of the fences before the day. In the event, I hope that like me you will find the bat and ball game that is editing, a fairly smooth process, with well defined rules that guide you through the whole thing. So, the words are sorted and now for the final touches. Don’t be afraid to make suggestions about the front cover- and then be prepared to bow at least a little to the greater expertise of the design team! I always read the dedication page, and writing my own felt such a privilege. It’s there for all to see so make it count. Then, albeit a few months down the line, the first copies arrive. You hold them in your hands, scrutinising the cover- and what jumps out at you is the reward. YOUR name as bold as brass emblazoned beneath the title. You did it! Shirley Gladden was born and grew up in England. Since obtaining her degree and teaching qualification she has worked in schools there as well as in Germany and Cyprus. She now divides her time between her career on that warm Mediterranean island and her base in England. She enjoys playing the saxophone, though by her own admission with more enthusiasm than raw talent, and now that her four daughters are grown up she has more time to devote to her writing.